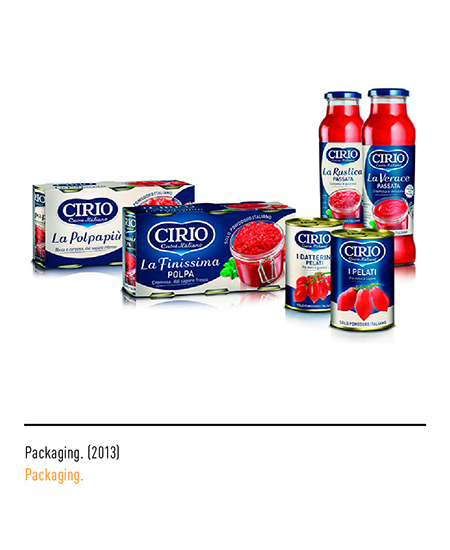 Established in Turin in 1875 by Francesco Cirio, the firm was to play an important role in the canned foods sector, both domestically and internationally. 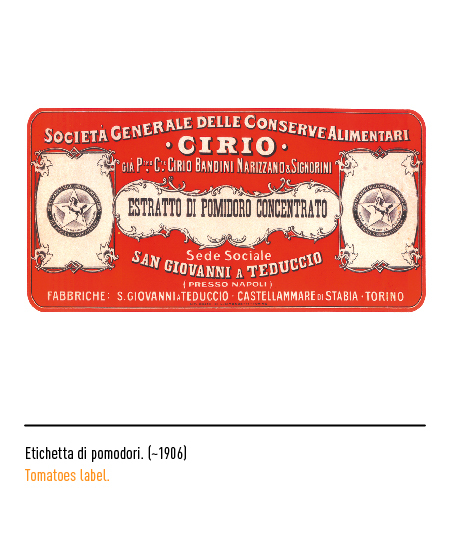 In 1857 the twenty-year-old Francesco Cirio had already realised the enormous potential of the long-term food preservation technique called "apperisation". 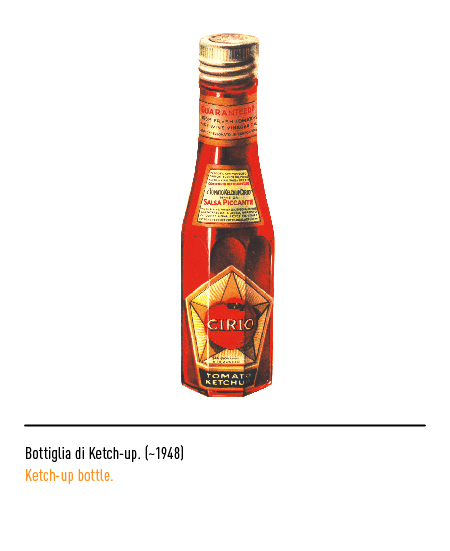 Even though invented in 1802 by the Frenchman Nicolas Appert (from whence the name), the technique was still in its infancy. 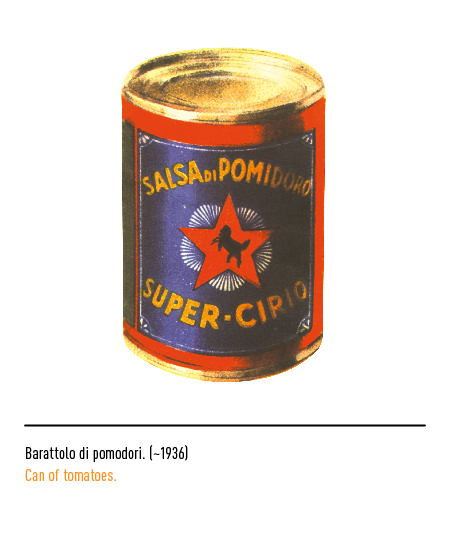 The invention of the tin band in 1867 was to make the difference. 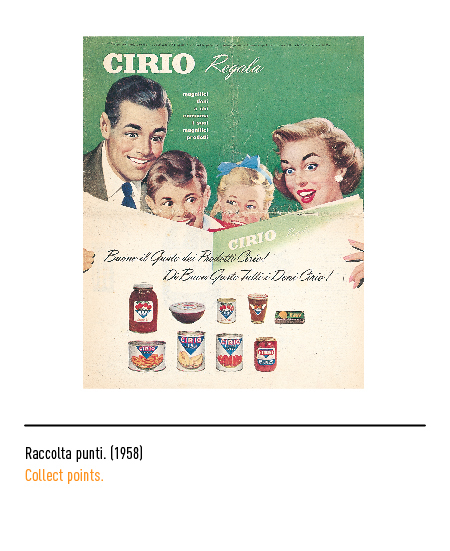 That, and the fact that in the same year Cirio officially presented his preserved canned food at what was at the time considered a show case of industrial progress, the Universal Exhibition in Paris. 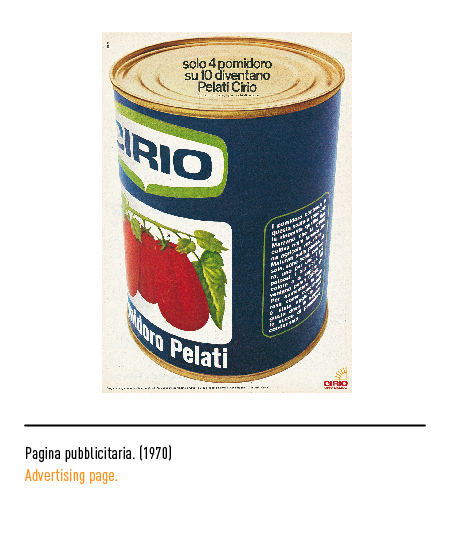 At first his speciality was canned peas but he soon began to diversify and started processing tomatoes, a food product that was to become a front-liner in Italian exports. 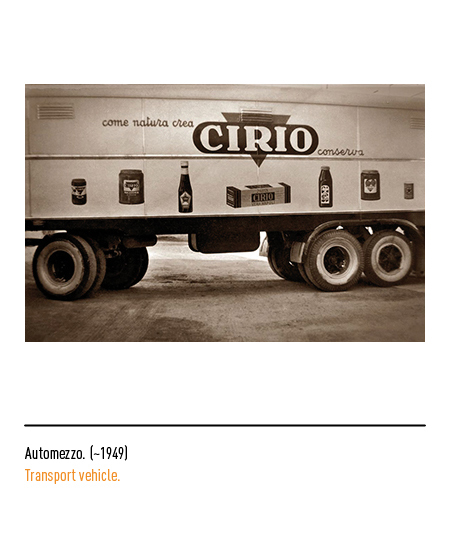 After Italy's unification Cirio also opened up plants in the south of the country. 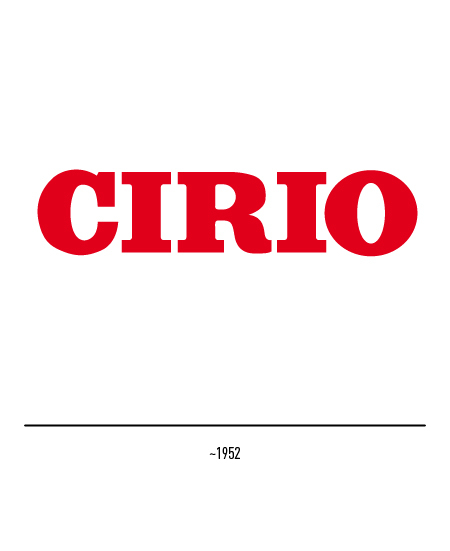 It was indeed with Southern Italy that Cirio's name was to have lasting associations. 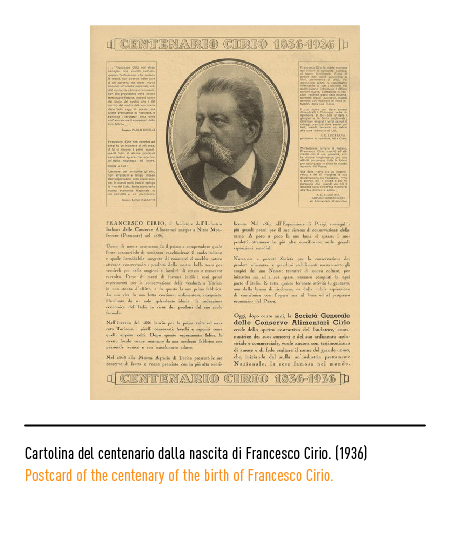 In fact, soon after its founder's death the firm's head office was moved from Turin to San Giovanni a Teduccio on the then outskirts of Naples, where it was to remain till the end of the 1980s. 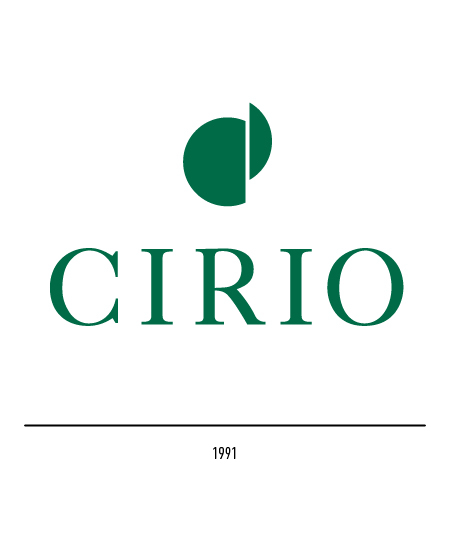 It acquired the name The name "Cirio S.p.A." in 1993 following on the division of "SME Società Meridionale Finanziaria", a firm of the IRI group, as part of the government's scheme for the privatisation of state-owned companies. 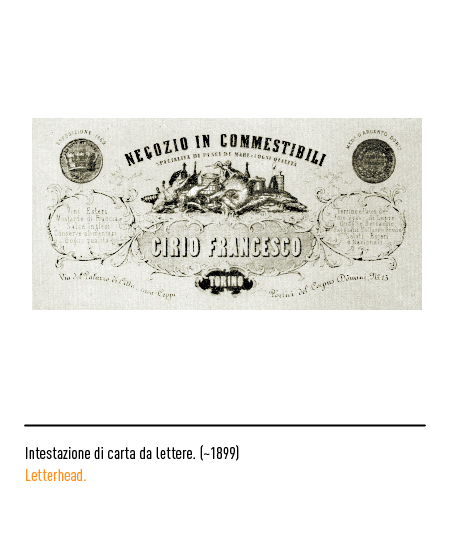 The trade-mark first appeared on the letter-headed paper of the firm in a style typical of the age with a number of food products portrayed inside a flourished frame. 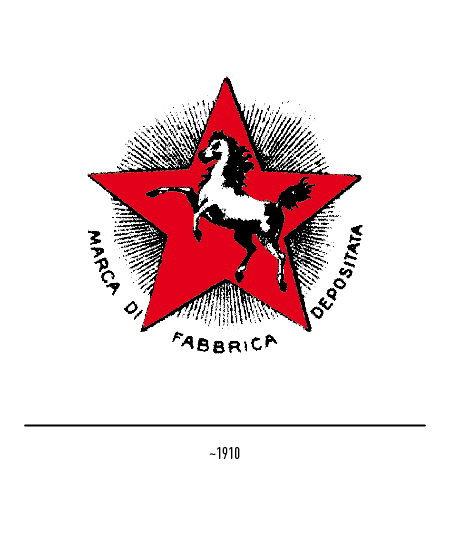 In 1906 a circular trade-mark appeared with a horse depicted inside a radiant red star with the official wording "Società generale delle conserve alimentari Cirio" Over the years the distinctive elements making up the trade-mark were progressively lost. 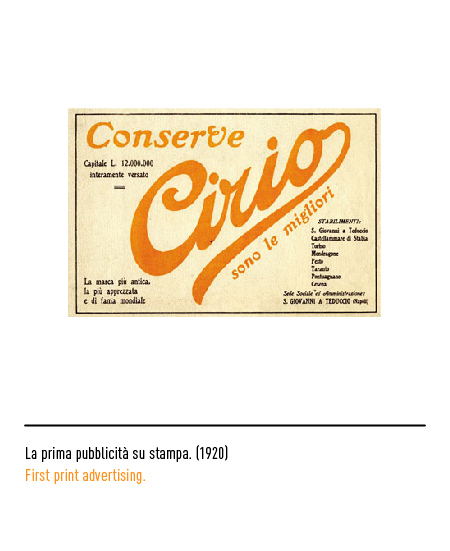 The first to be dropped was the name in the form of a circle, next the horse, and finally the star. 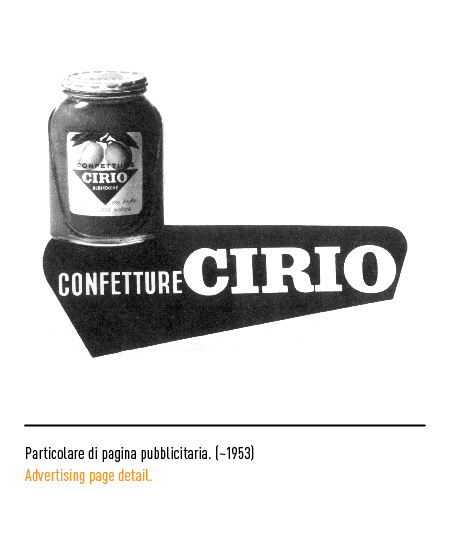 In the 1950s only the gracefully lettered logotype was left to bear the burden of the firms visual communication. 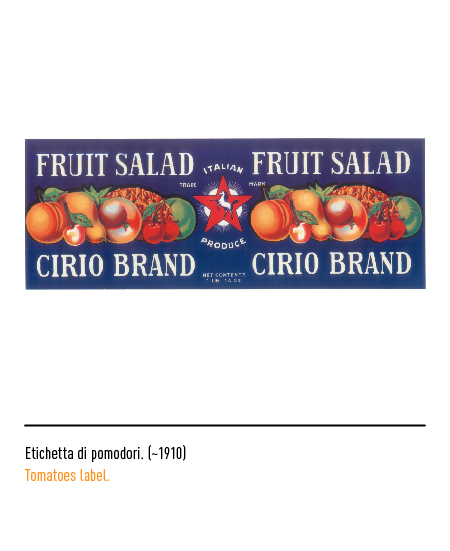 In 1970 Gio Rossi designed a new trade-mark using block letters and setting it in a green frame. 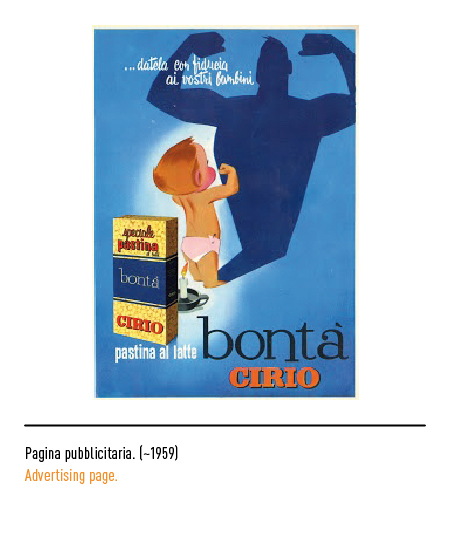 A slight restyling was carried out by the same artist in 1985. 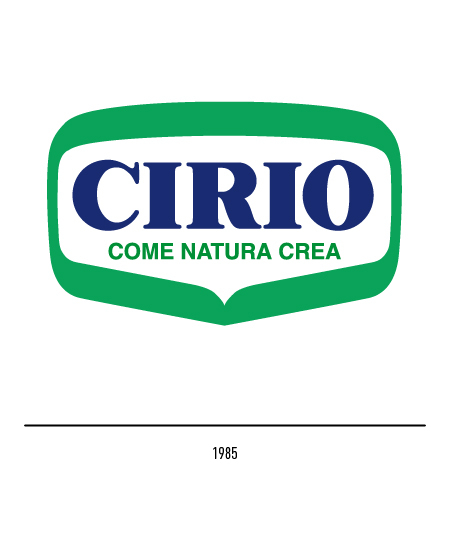 Apart from lettering with serifs, a new slogan was added that read "come nature crea" ("just the way nature makes it"). 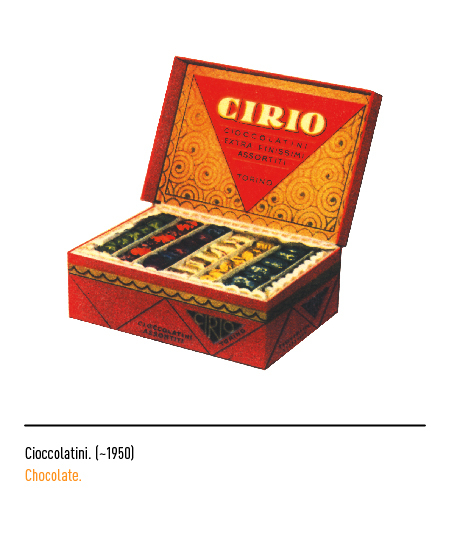 A better expression of the firm's know-how and dedication in the processing and preservation of natural products could not have been found. 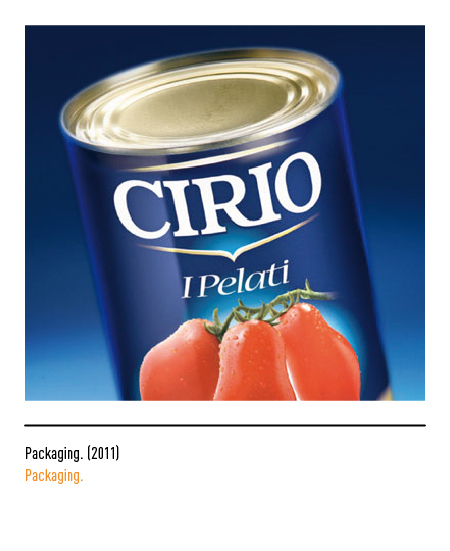 In 1991 Area Strategic designed a trade-mark for the "Cragnotti & Partners", the holding of the farm produce and food processing group, centred on the initial "C" and "P". 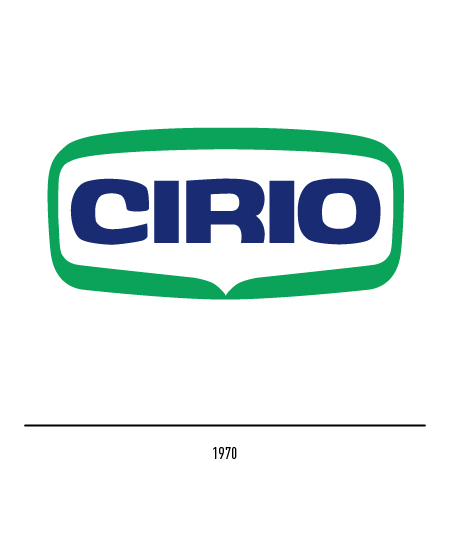 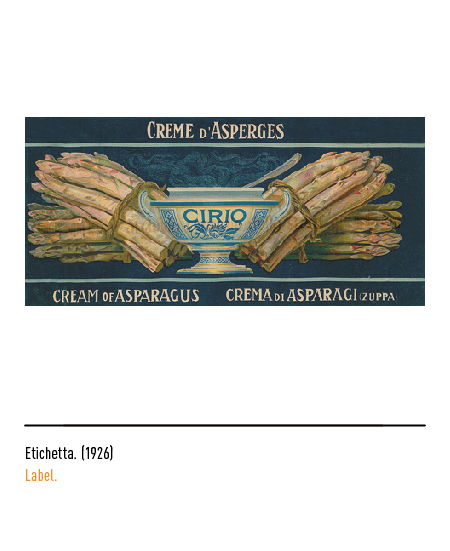 When Cirio was taken purchased by the holding its logogram was adopted as the group's new trade-mark. 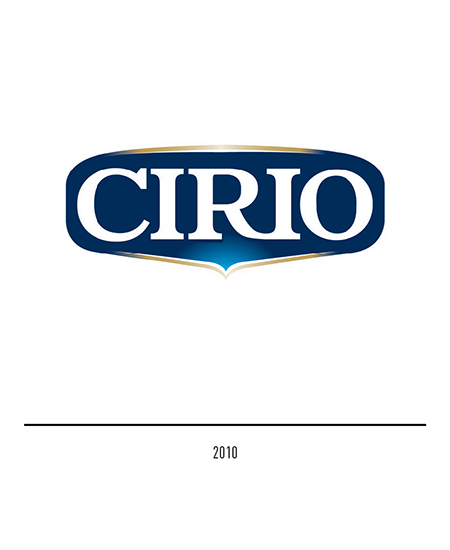 In 2006 Carré Noir comes up with a restyling of the logo consisting of a simplification o fthe frame, with the view in negative of the logotype and a review of the gracious lettering; in order to emphasise such characteristics, the two golden stripes put above and below the logotype are kept. 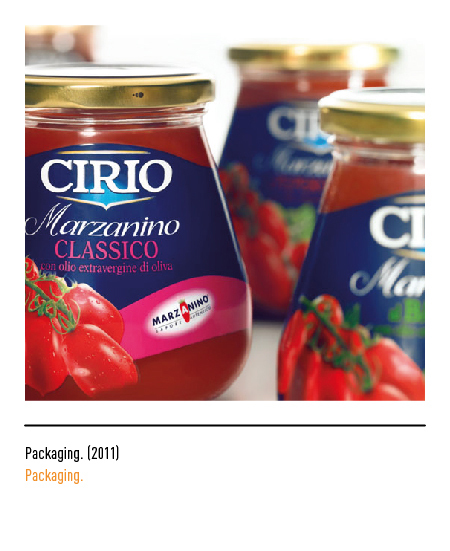 Along with the logo, the packaging undergoes a similar restyling process, marked by a modernly elegant graphic. 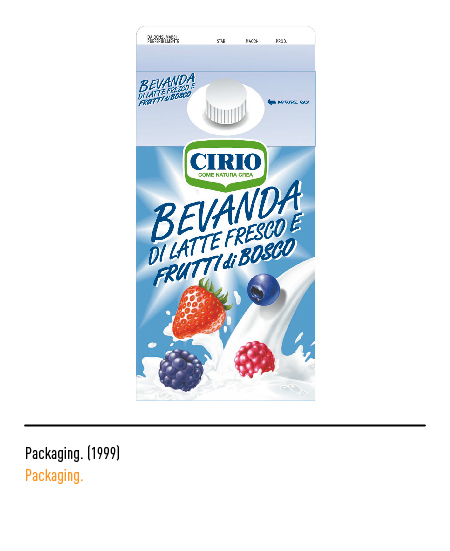 In 2013 the same company presents the new logo and the new packaging. 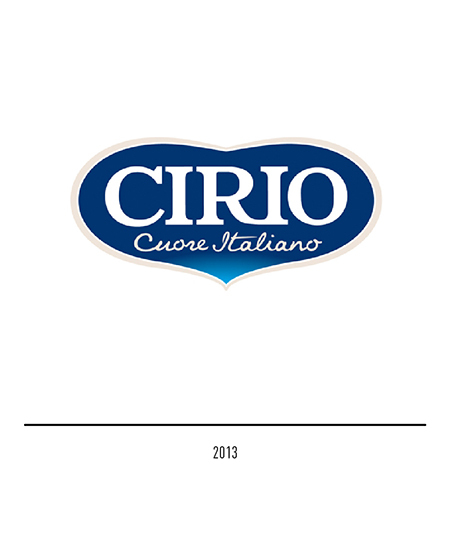 The evolution of the logo is bound to the new shape created through the blending of the heart and the tomato in a softly winding silhouette; such silhouette keeps the blue background inherited from the previous restyling. 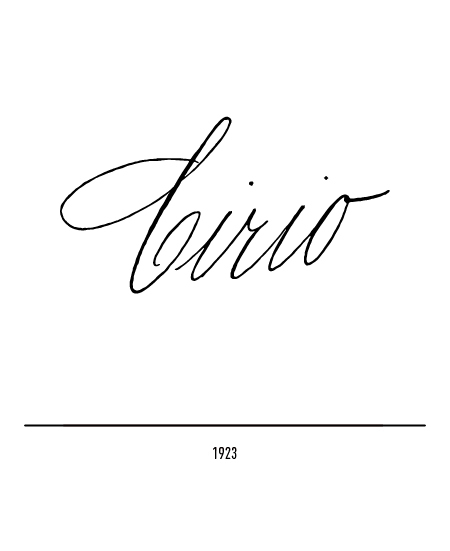 The logotype remains unchanged. 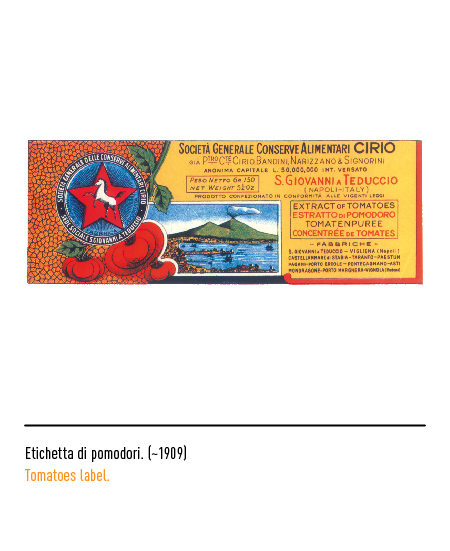 The pay-off "cuore italiano"(Italian heart) clarifies immediately the policy of the brand: to cultivate and select passionately the best Italian tomatoes and to guarantee the consumer the best culinary experience through the true taste of the Italian tomato. 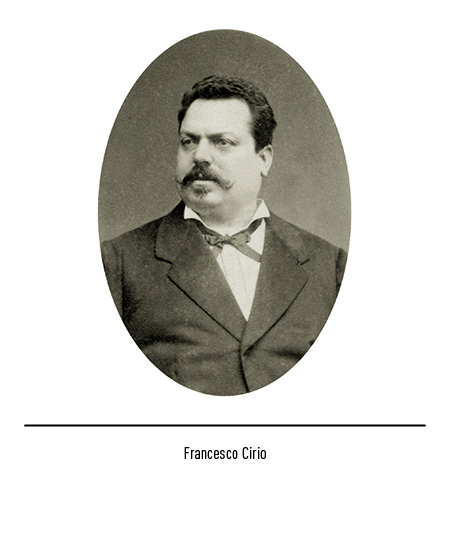 Angelo Calabrese, Camillo Capolongo, Luigi Castellano, Valeria Del Vecchio Pignalosa, PIANETA BIANCO, Giovanni Paciﬁco Editore, 1998, Napoli. 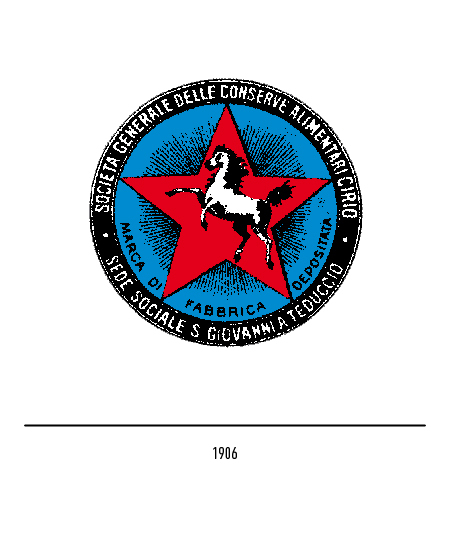 Camillo Capolongo, Luigi Caramiello, Luigi Castellano, PIANETA ROSSO, Giovanni Paciﬁco Editore, 1997, Napoli.